Once you're protected, you'll be given a 24-hour international SOS hotline number in case of emergencies. 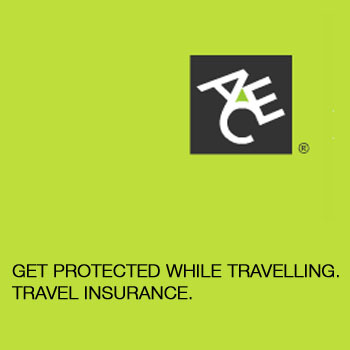 Claims can be made at Ace Insurance Manila or Cebu office. A. International Comprehensive Plan (PhP 2.5M)- premium from PhP 1,008 for 8 day coverage. B. International Standard Plan (PhP 1M)- premium from PhP 593 for 7 day coverage. C. Domestic Plan (PhP 1M)- premium from PhP 445 for 8 day coverage.